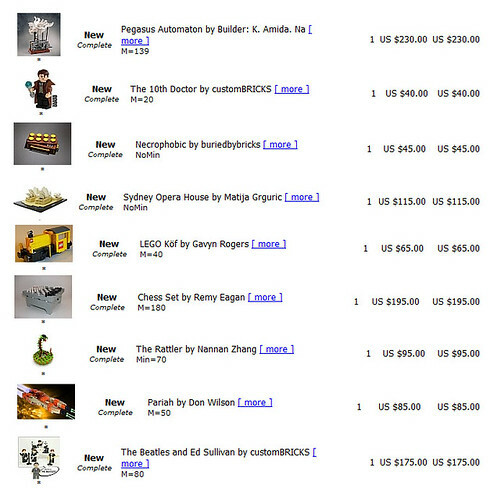 These are the MOCs sold from Creations for Charity 2011 so far. There are more buyers than you may think and hot items sell really fast for a lot of money. Please consider donating something!